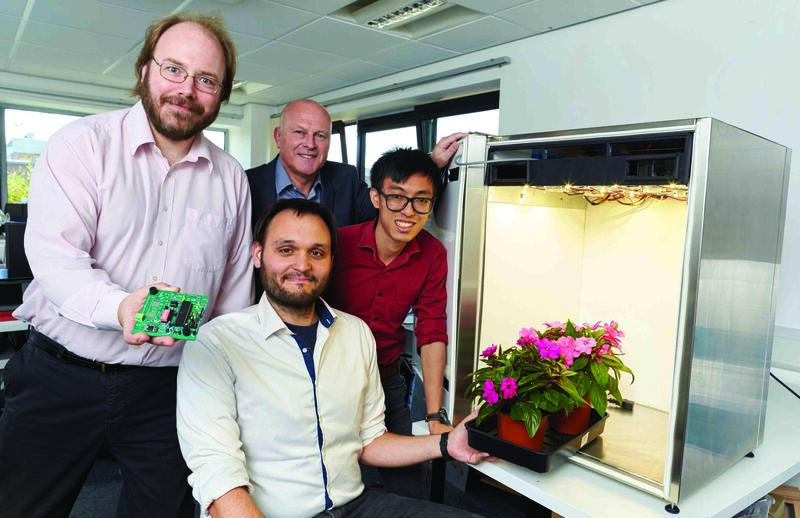 A Rotherham start-up specialising in scientific apparatus for plant science research has turned their ‘idea on the back of an envelope into an actual business’ after accessing a regional business support programme. Entrepreneurs Alexis Moschopoulos and Richard Banks have designed new smart plant growth chambers for plant science research, so that scientists can more reliably and precisely control their experiments. The idea came to Alexis after struggling for many years with poor quality growth chambers while conducting research in plant science. The duo read about Y-Accelerator and saw it as an opportunity to make their business, Grobotic Systems, a reality. Richard: “I had a phone call from Alexis and he said an opportunity to push our idea forward into a real thing, a real product had come along and we thought – why not? The Y-Accelerator programme offers the city region’s next business leaders the opportunity to benefit from a three-month intensive development programme featuring expert advice, mentor support and specialist workshops, as well as the chance to pitch to a panel of high-profile investors including Mercia Technologies, Angels Group, Jenton Group and UK Steel Enterprise. The programme is delivered by a partnership of the Sheffield City Region Growth Hub, Rotherham Investment and Development Office (RiDO) and Sheffield Hallam University. It will be run by a team of highly experienced business specialists from across the private sector. Delivered through one-to-one and group sessions, tailored to meet the needs of every candidate, the Y-Accelerator programme’s network of advisors, mentors and businesses will provide insight and expertise. 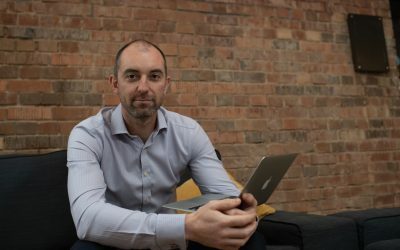 The 12-week programme will run from November 2018 to February 2019 and include business modelling techniques, expert advice, mentors, specialist workshops, market research and individual support to help the ten chosen projects build a strong customer proposition and financial model as well as learn to effectively communicate the business value to customers and investors. Alexis said: “We would recommend the Y-Accelerator programme because it really helps people to improve their business idea and explain in a clear, concise way what their business is about and to look for funding. Amanda Parris, business growth manager for RiDO, said: “This is a programme like no other available. We want people who think differently, who we can work with to create a viable, scalable business and this is certainly the case with Alexis and Richard’s business. While still in the process of prototyping and looking to beta-test soon, Richard and Alexis are looking to the future. Having been involved with the Y-Accelerator for a number of years UK Steel Enterprise, a subsidiary of Tata Steel tasked with helping the economic regeneration of communities affected by changes in the steel industry, is offering a £1,000 prize for the winner of this year’s programme. Also, Design futures, a commercially focused product and packaging design consultancy group based within Sheffield Hallam University, is offering consultancy services worth £,2000. This will be broken down into seven, two-hour sessions. The Y-Accelerator programme is currently open to applicants from all industry sectors, although logistics, manufacturing, and automation are especially of interest. Y-Accelerator is a collaboration between private and public organisations, including Sheffield Hallam University, RiDO and entrepreneur in residence from Gripple Ltd. The Y-Accelerator 2018/19 is inviting applications until 31 October 2018 through the Sheffield City Region Growth Hub portal. For more information, please email:growthhub@sheffieldcityregion.org.uk, visit www.scrgrowthhub.co.uk/y-accelerator, or call 03330 000039. Pic caption: Caption: Richard Banks (Grobotic) (left), Allan Wood (UKSE) (middle/back), Alexis Moschopoulos (Grobotic) (middle/front) and Eric Cheok (Grobotic) (right).